This week we take the battle with Cobra to the high seas. Get your feet wet landlubbers, here is Shipwreck! 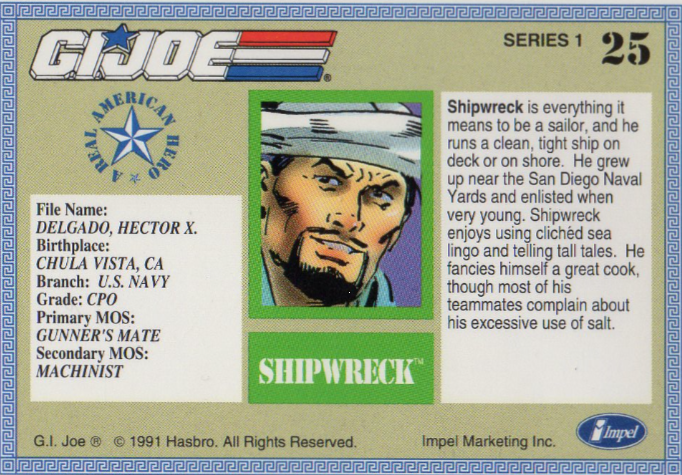 Shipwreck was introduced in the comics in perhaps one of the best story arcs of the Joe line, the creation of Cobra Island in issue 40. He is assigned to set up the new Transportable Tactical Battle Platform on top of an old oil digging site in the Gulf of Mexico. 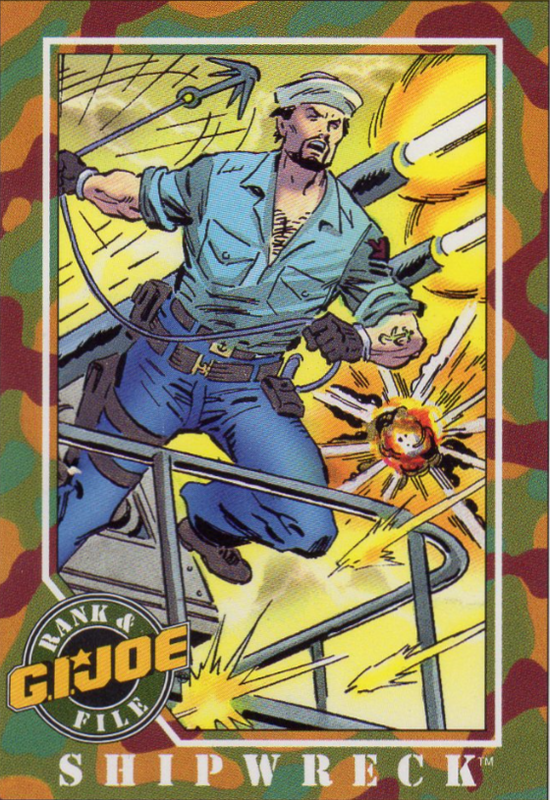 In the Spy Troops spin-off continuity, Shipwreck is the Joe that get’s to impersonate the big snake himself after Zartan infiltrates the Joes posing as Shipwreck. Not quite James Bond level of spies, but still an entertaining Joe movie.